Local Asheville family had some real issues with not only the hard water that they were having but also the iron issues and also the acid that causes the blue green staining on their bathroom plumbing. So this customer went for it all, having us install the UV light for bacteria, a neutralizer for the removal of the blue-green staining and also an iron filter to remove the rusty water staining and finally the softener for the hard water. 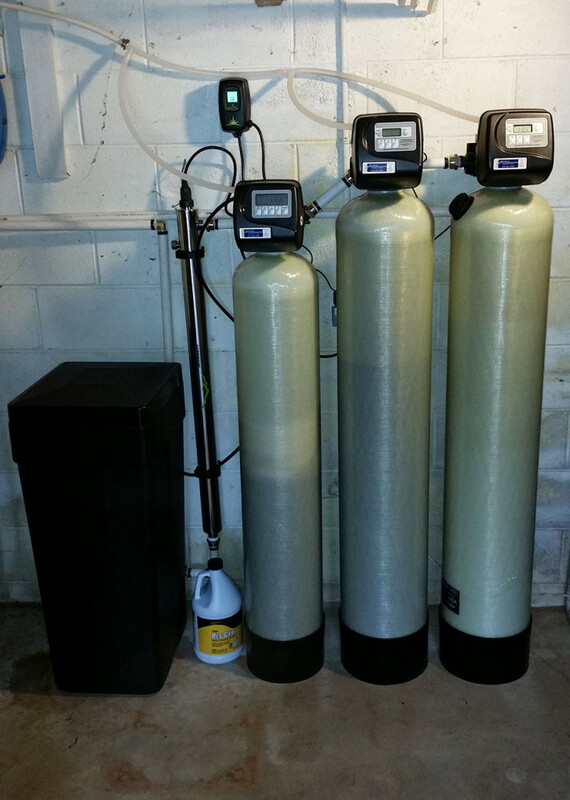 The clients are very happy with the end result of this whole package to get really good water from your well.